Situated just moments from stunning Clarkes Beach and the vibrant heart of town, this Byron Bay motel offers it all. Enjoy modern and affordable accommodation within walking distance of Byron Bay’s top restaurants, beaches and sights at Bay Beach Motel. 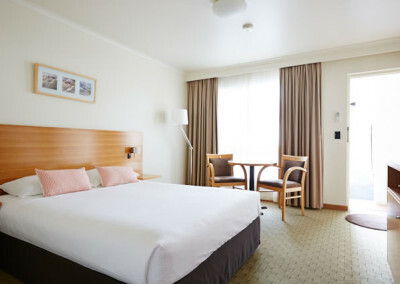 Features a queen bed, table and chairs for two, air conditioning, fridge, tea & coffee facilities and pay TV/DVD player. Features a queen and single bed, balcony, air conditioning, fridge, tea & coffee facilities and pay TV/DVD player. Features a queen bed and fold out sofa, a balcony, air conditioning, fridge, tea & coffee facilities and pay TV/DVD. Features a queen, single and trundle bed, balcony, air conditioning, fridge, tea & coffee facilities and pay TV/DVD. Bay Beach Motel is the perfect solution if you’re seeking a Byron Bay motel that’s close to town and beaches, yet secluded enough to give you a great night’s sleep. 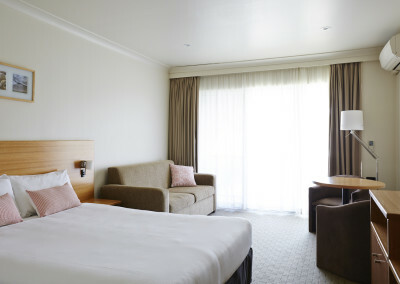 With recently refurbished rooms, a family friendly pool and a restaurant here on the premises, you can choose to relax and unwind without ever having to leave. On the other hand, if you’re eager for adventure you have Byron Bay’s world-famous lighthouse, beaches, activities, eating spots and culture right on your doorstep. Bay Beach Motel is the ideal destination after a long day of sun, surf and exploration. With a selection of standard motel rooms, balcony rooms and family apartments, Bay Beach Motel caters for couples, families, groups and solo travellers alike. 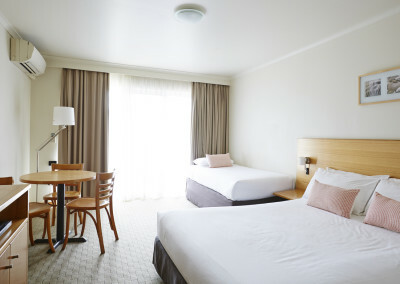 Our rooms are spacious and stylishly designed, well appointed with air conditioning, cable TV and tea and coffee making facilities in every room. Upon arriving at our Byron Bay motel you’ll be welcomed with warm hospitality and smiling faces. Our staff can help you to plan your time here, or you can choose to discover the surroundings for yourself. We will happily assist in any way we can to ensure you have the ultimate Byron Bay experience. If you’re looking for quality accommodation for your next trip to Byron Bay, book online now or contact our friendly team on 02 6685 6090. 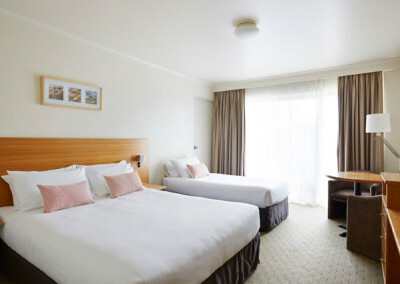 Whether you’re passing through on a long journey, visiting for a few days to attend a local event or enjoying a family holiday, our comfortable rooms will provide a peaceful home away from home that’s close to all of the area’s best features. For modern and affordable accommodation in an unbeatable location, you can’t go past Bay Beach Motel. We look forward to welcoming you in beautiful Byron Bay.